From the kitchen of One Perfect Bite...One of my favorite blogs is For the Love of Cooking. It's one of those sites that never fails to please. The photos are great, the recipes delicious and the writer an absolute charmer. Recently Pam featured a recipe for Italian Goulash that took me back to a casserole that made regular appearances on our table when the children were at home. I also serve it - then and now - for game day get-togethers with good friends. It's not meant to impress and it's best to think of it as grub at its finest. This is what happens when you combine chili with mac n' cheese. The dish takes ten minutes to prepare, twenty-five minutes to cook and uses just one pan. You can alter heat and spices to taste. You can also control the amount and type of cheese you use. Here's the base recipe. I hope you'll make this one your own. 1) Heat oil in a large skillet set over medium-high heat. Add ground meat, onions and garlic salt; cook until meat is brown and onions are tender. Pour off accumulated drippings. 2) Add beans, stewed tomatoes, tomato sauce, macaroni, water, green chili peppers, cumin, chili powder to meat mixture. Bring contents of skillet to a boil. Reduce heat, cover pan and simmer, stirring frequently, until macaroni is tender, about 20 minutes. Sprinkle top with cheese. Cover pan and heat until cheese melts, about 2 minutes. Garnish with chopped cilantro, if using. Yield: 6 servings. Mary, this looks wonderful. I have forwarded it to both my daughters since I know their kids would love it. I did not expect you to be posting so much. Take care and rest and follow orders. Hugs. This looks like the perfect game day eats! Mmm Mmm Good!! My family would definitely dig into this dish with gusto! Great recipe for game day! Sounds quick and easy to make. Perfect for game day. Mary - your recipe is very similar to mine. Get well soon!! Hope you're feeling better, Mary. Ooo...a chili and mac and cheese combo? Now that is perfect for game day! This would be great to prepare and eat when Saturday afternoon college football is on in the fall. Sounds deeeeeeelicious! And so so sorry about your shoulder! Allow yourself some well-deserved rest, I'm sure! Game or no game-this will be on our table this weekend! We're getting another snowstorm, I go to get ingredients today, and this will be perfect to eat by the fire! Hope you are feeling better! I could dive face first into that delicious photo. It looks sooooo good!! You just made my day - thanks for your sweet words Mary! 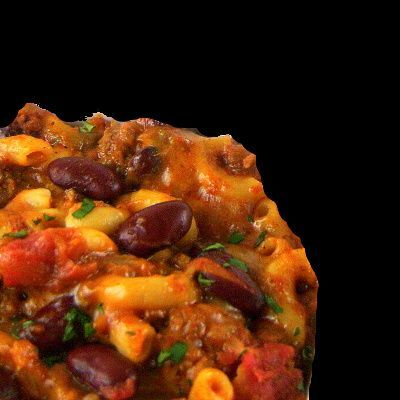 The chili mac looks amazing, bookmarked. Silly me! I forgot to add you to my Google RSS feed, so I've missed several of your fine recipes. I've remedied that. Skillet dinners are perfect for weeknights. Along with your rice salad, this recipe goes into my son's Beginning Cooking file, but first I'll have to make it for my husband. This is an easy recipe, but I can already imagine the flavors working together perfectly.